The Hengduan Mountains and Tibetan Plateau possess unique topographical characteristics that serve as an effective blocking of the movement of the westerly wind in the middle and lower troposphere towards East China. This study examines results from a regional climate model (REMO) at the resolutions of 25 and 50 km for the period 1980–2012. The model is run using lateral boundary conditions from ERA-Interim (European Centre for Medium-Range Weather Forecasts interim reanalysis). There are only a few differences between 25 and 50 km in land surface/vegetation characteristics, but the major differences in this region are due to the orography. Results show that the high-resolution simulation performance is poor in winter, when southwesterly wind prevails, whereas it performs well in summer, when the westerly wind is substantially weakened in southern China. In comparison to the ERA-Interim wind field, the high-resolution simulation overestimates the air flow over the Hengduan Mountains near the ground surface, which influences the transport of atmospheric water vapor in the downstream region, i.e., over southern China. 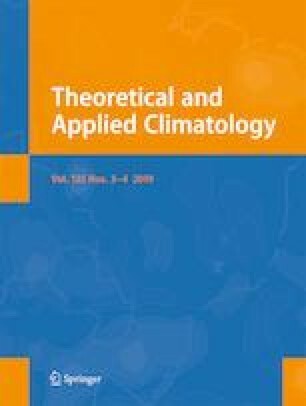 Specifically, with the help of the overestimated southwesterly wind, the amount of atmospheric water vapor transported increases considerably perennially by up to 20% in southern China, while it decreases remarkably by more than 5% throughout the year in a large area of Central and North China. These features lead to excessive precipitation and underestimated cloud cover in southern China, which probably causes the overestimated 2-m temperature in southern China. Our study emphasizes that, in such high-resolution-model studies for East Asia, special attention should be paid to the near-surface winds over the Hengduan Mountains. We thank anonymous reviewers for comments and suggestions that helped to improve the manuscript. We thank the ECMWF and CMA for providing the gridded data. We thank the Climate System Department at GERICS for the consultations that took place regarding the REMO model. The simulations were carried out at the German Climate Computing Center (DKRZ). This work is supported by a project entitled “Relationships between glacier changes and atmospheric circulation in High Mountain Asia,” supported by the National Natural Science Foundation of China (Nos. 41871053, 41371095, 91337218), the China Special Fund for Meteorological Research in the Public Interest (No. GYHY 201406008), project S1 (Diagnosis and Metrics in Climate Models) of the Collaborative Research Centre TRR 181 Energy Transfer in Atmosphere and Ocean program funded by the German Research Foundation, EC project PRIMAVERA under grant agreement no. 641727, and the state assignment of FASO Russia (theme Nos. 0149-2019-0015, 0149-2018-0014). This study was also funded by “the Priority Academic Program Development of Jiangsu Higher Education Institutions” (PAPD).